The number of Syrians who have fled war to seek refuge in Turkey has reached 3,208,131 as of September 28, according to the Directorate General of Migration Management. Istanbul hosts the greatest number of Syrian refugees with 511,380, followed by the southern border provinces of Şanlıurfa with 445,584, and Hatay with 416,589. Meanwhile the refugee count in the provinces of Gaziantep, Mersin, Adana and Kilis hovers near 150,000 each. The western provinces of Izmir and Bursa are each home to about 120,000 Syrians, followed by Kahramanmaraş with a slightly less 95,431. This count includes all Syrians who have registered legally with the Turkish government. Last year's number was 2,834,441. Turkey's welcome to Syrians provides refuge to victims of war and protects vulnerable individuals from the threat of human trafficking. Currently Turkey supports 28 shelters for victims of human trafficking, housing 242 people as of Sept. 15. Many foreigners residing in Turkey have applied for legal visas. Turkey offers six visa categories: short term, long term, family, student, humanitarian and victim of human trafficking. This year Turkey awarded 591,982 visas compared to 461,217 last year. 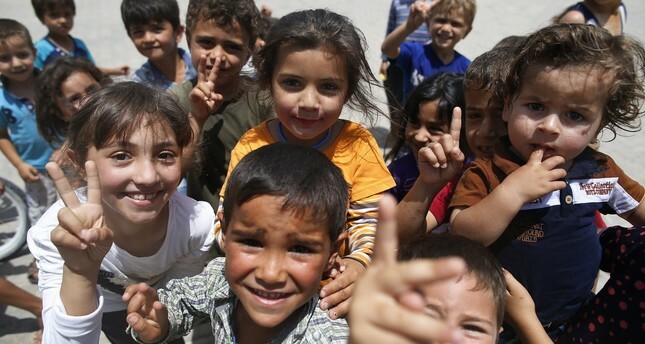 Turkey, for the third consecutive year, has hosted the largest number of Syrians worldwide, which accounts for around 45 percent of all Syrian refugees in the region, according to the United Nations High Commissioner for Refugees' June statistics. The country was also declared the world's largest refugee-hosting country on World Refugee Day this year. After Turkey, Lebanon is the country that houses the most Syrian refugees,with the U.N. saying that one million Syrians are living in the country. Europe, on the other hand, has failed to fulfill its promises of accepting and relocating more refugees, and instead reintroduced frontier checks and vetting processes. 657,945 out of about one million Syrians currently reside in Germany, the top host of refugees in Europe, according to the German Federal Office for Migration and Refugees.